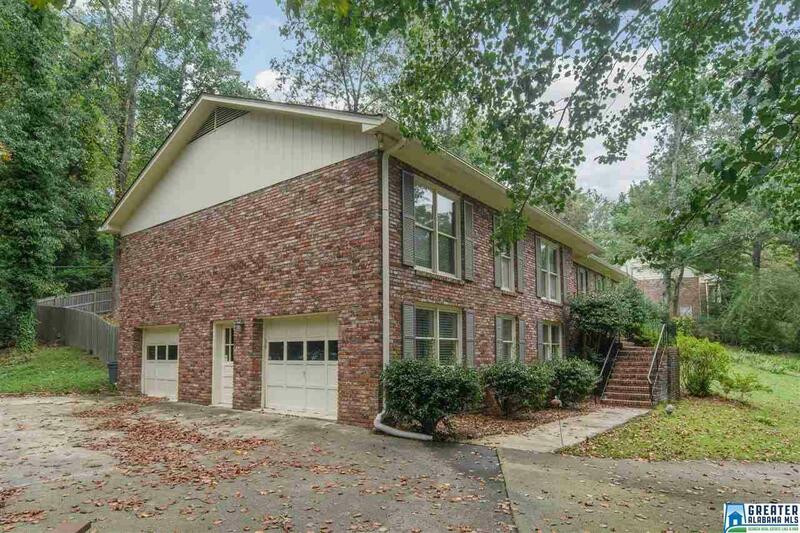 3757 Rockhill Rd, Mountain Brook, AL.| MLS# 828382 | Richard Jacks UABLIVING.com 205-910-2297 | Birmingham AL Real Estate | Contact us to request more information about our Homes for Sale in the Birmingham AL area. INCREDIBLE value in Mountain Brook/ Cherokee Bend Elementary School zone. One level with many updates including kitchen with granite, high end stainless appliances & loads of cabinets/counters. Bright & open living room plus dining room, separate family room with fireplace means there is space for everyone! Main level master plus 3 other bedrooms, all with generous closet space & spacious baths. Downstairs is another story- HUGE playroom with bar, and two other private rooms plus full bath- perfect inlaw or teen suite. No steps from the kitchen to the inviting patio & fenced yard. Private lot is surrounded by woods, peace & quiet! No thru traffic near culdesac. Hardwood floors, neutral colors, great looking WELL BUILT HOUSE is ready for a new owner!